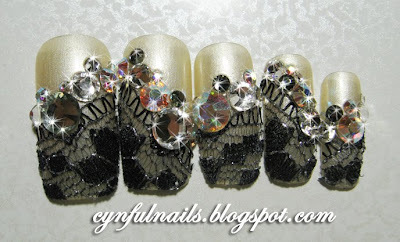 Did 2 sets of nail art with real lace. Black and white lace. 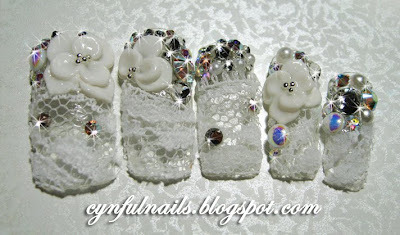 White lace on clear tips. Black lace on a champagne base.